Check out my fun experiment, I have seen a few "stencil types" that use the modern/didone look, some work, some are bad — I wanted to try it out ! 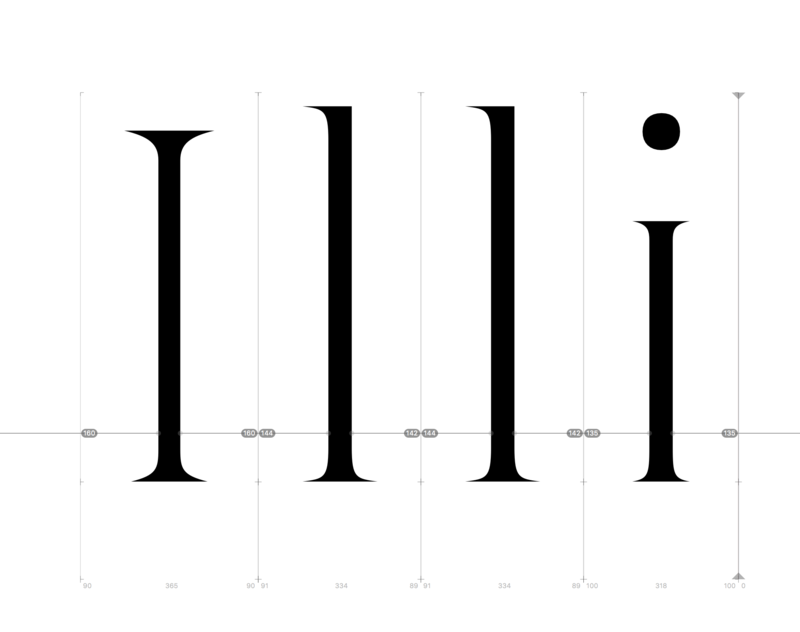 This is not a body copy typeface, nor is it very LEGIBLE, but it is beautiful, and unique. lots of .noglyph because I have't done punctuation. — ignore it ! I remember seeing a very similar font on MyFonts; can't remember the name, though. Something starting with V maybe? The name Marleen might be problematic, since there's already a popular typeface called Marlene. Quick things: I'm not convinced by the /R, and the /Q's right sidebearing seems to be off. I don't think the /l (lowercase L) is working. The /M looks unbalanced. Isn't the /G lacking the right stem? I think you should work more on balancing the widths of the stems and bowls, at the moment the bowls seem much heavier. The same goes for diagonals, some are too heavy, some too light. About uniqueness... I think it needs more work before you can call it that. 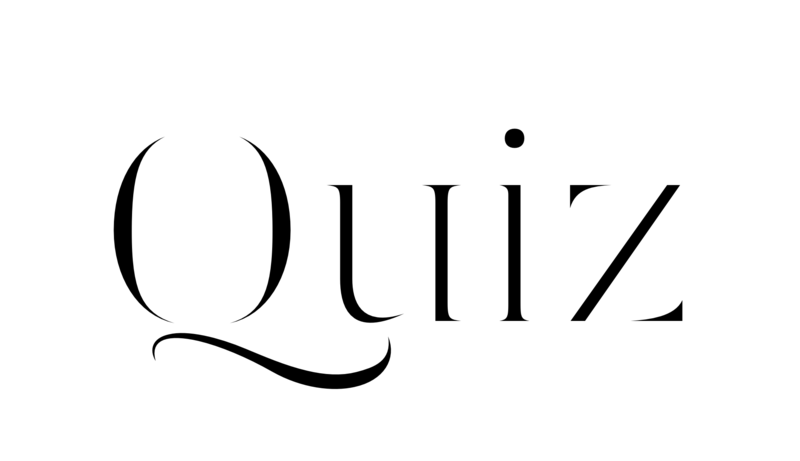 Maybe some investigation into the serifs? Agree with the weight of diagonals, they are a little thick in comparison, just needs a touch of tightening. G not necessary, it makes it look too out of place. I'll give it a second go but likely will not work with the composition. Bowls/ I think it's because the tip where the curve ends is too out of place. It looks like it should end closer to the inside of the bowls, I'll play with that. Uniqieness. What would you suggest ? I already have a mix bag of didone/transitional, I don't think I can make the serif any more unique at such a drastic contrast without them looking out of place. Yes and add a bottom right serif so it will be top left, bottom left bottom right serifs similar to k (with the addition of bottom right)— agree. 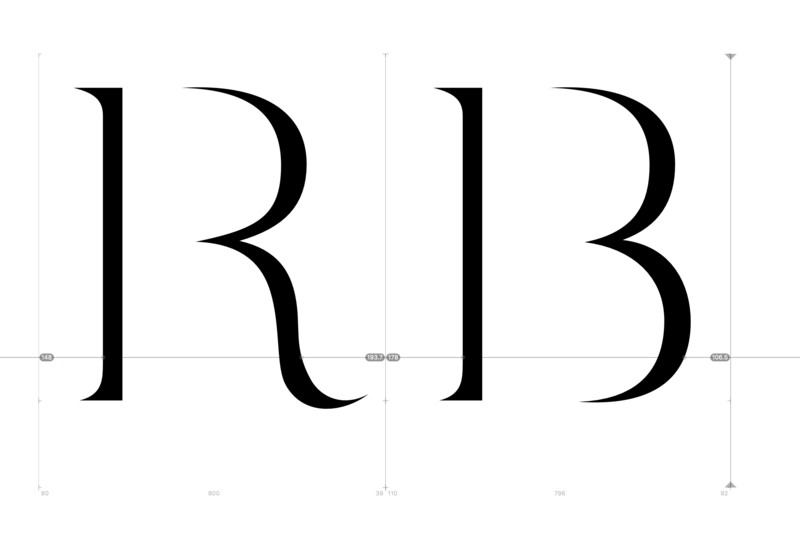 And I will try the R with B influence, that will look more uniformed. Still having a hard time here with that R, how about this ? Right direction ? The same goes for /i! The way it looks now it could very well be an uppercase /Idot (the Turkish letter capital i with dot above), only scaled down. The leg width in /R is uneven. The shape of the right spline could follow that of the left spline more closely. Starting to get there ! ..... What do you guys think ? My new Q idea, thoughts? Maybe a little too curly ? Will upload my new draft soon, any suggestions before I continue ? The bottom part of the tail of /Q has too much bulge. Meaning, it grows unevenly. And you should really check every letter for consistency. Here I see again that you have the cap-style serif on /u. Ok. I think I'm just stuck with my original ideas too much, I will fix all instances of a lower verticle containing 2 top serifs basically. There's also a bit of a disbalance between the almost-whiteness of some letters (like /e) and the almost-blackness of others (like /n). I'd suggest changing the latter to match the former rather than the other way around. I'd try moving the root of /Q's tail a bit further down to avoid the close collision there. I think I have just been starring too long, need a bit of a break and to come back to it ! I agree I'll keep experimenting. I also fixed the weight of some of the diagonals. at this much of an extreme 2 arrow keys of moving the handles will make a world of difference... That /R is a real pain ! perhaps I will upload some variations and see what is going to work best. These /A /V /v /w don't convince me. Maybe try to move things around and see what works? Maybe this applies to /M as well. These /m /n look cute but Christian is right: There is little consistency in how much of the bowls in different letters is visible. Compare /P and /R.